Still Waiting On A Wrongful Death Settlement? The death of a loved one is difficult no matter what the surrounding circumstances are. But when an unexpected death occurs that was caused by the neglect of another person or company, it’s particularly devastating. Family members are left to wonder why this happened to their loved one and countless hours are spent imagining what would’ve happened if decisions had been made differently. Emotional and psychological traumas aren’t the only negative effects of a wrongful death. When the death is a parent or breadwinner, the financial devastation to the family can be tremendous. if the death was of a stay-at-home parent, the surviving parent may have to hire help in order to still provide care for his or her family, something very few can afford. While balancing these new responsibilities, the family must also find a way to pay off medical bills, funeral expenses and other costs arising from the death. According to the Centers for Disease Control and Prevention, more than 120,000 people die annually as a result of unintentional injuries, leaving the surviving family emotionally and financially devastated. Families who’ve been affected by wrongful death due to defective products, fire, truck or bus drivers, unsafe buildings, medical negligence or other preventable situations may be entitled to receive reimbursement for damages brought on by funeral expenses, medical expenses, lost wages, pain and suffering and more. Additionally, depending on the circumstances, a victim’s family may be able to send a message to the entity responsible through the collection of punitive damages. If a loved one in your family has been the victim of a wrongful death, contact Pravati Capital today. We have built a larger referral network of qualified attorneys who understand the issues surrounding wrongful death and know how to recover funds for the many victims who suffer the preventable death of a loved one each year. 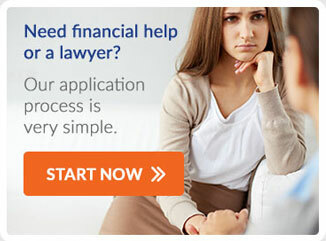 We also work to provide financing to litigants and attorneys so you can focus on the case rather than worry about lost wages and mounting expenses. If you experienced a wrongful death, contact Pravati Legal Funding today.